Patrice Mallet was sworn in as the 1st Economic & Trade Representative from Côte d’Ivoire to Southern Africa onDecember 3, 2013. 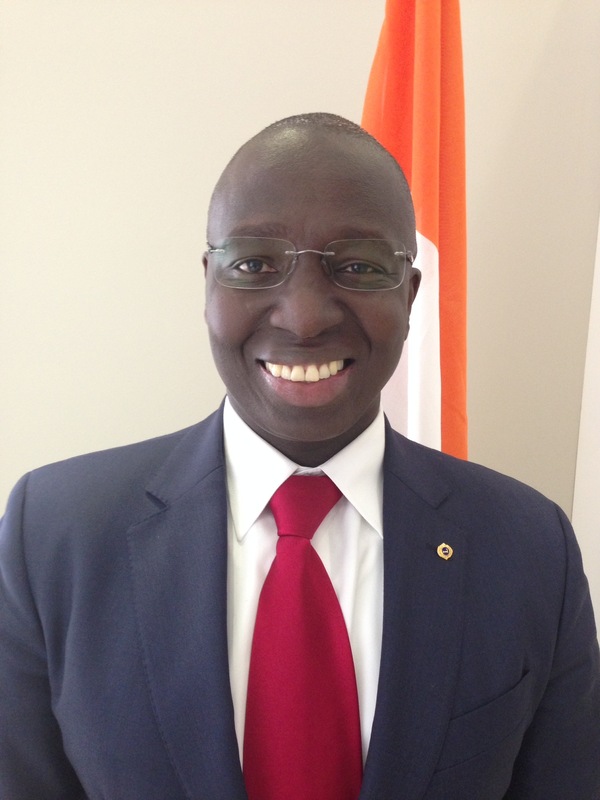 As Economic and Trade Representative, he is Côte d’Ivoire’s principal advisor, negotiator and spokesperson on international trade and investment issues in Angola, Botswana, Lesotho, Mozambique, Namibia, South Africa, Swaziland, and Zimbabwe. Mr. Mallet leads the Johannesburg Economic and Trade Office in its work to open markets for Ivorian goods and services, and foster development through trade. Key initiatives ongoing under his leadership are: (a) launching brand Côte d’Ivoire in Southern Africa; (b) strengthening partnership and economic cooperation in key sectors, particularly housing, infrastructure, and agro-industry; and (c) launching an Ivoiro-South African Chamber of Commerce. Prior to becoming Côte d’Ivoire’s Economic and Trade Representative to Southern Africa, Mr. Mallet served as Advisor to the Cabinet Minister for Planning and Development, where he was responsible for coordinating policy on infrastructure and energy. Previously, he served as Special Advisor to the Gauteng Fund in South Africa. Before joining the government, Mr. Mallet spent over 15 years working on information and communications technology at the World Bank Group in Washington D.C. and New Delhi. He was also an Adjunct Professor of Information Technology at George Washington University in Washington, D.C. Mr. Mallet received a master’s degree in English and Communications from Abidjan’s Félix Houphouët-Boigny University, as well as a master’s degree in Management of Information Systems from Bowie State University, and a master’s degree in Telecommunications from George Washington University in Washington D.C.
Mr. Mallet, his wife, and four children reside in Johannesburg, South Africa.